Details: Near Town & Country shopping center, Bethel College. Wooded lots. Pricing is $80-150,000. Below is a list of houses for sale in Bercliff Estates in South Bend Indiana. If there are no homes shown... We have nothing for sale at this time. 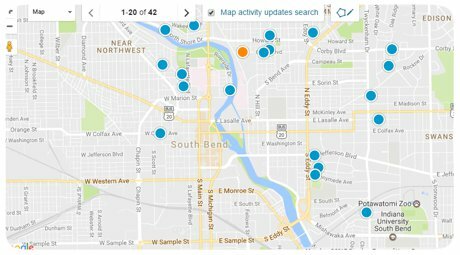 Use the Sidebar or Advanced Property Search to view more available homes! This list is updated several times a day through our local MLS feed so it is completely up-to-date! Bercliff Estates homes for sale. Courtesy of Hallmark Real Estate, Inc. Listing courtesy of Bruce Gordon from Hallmark Real Estate, Inc.